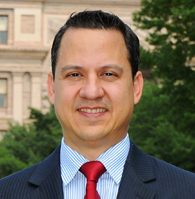 Jonathan M. Saenz, Esq., is the President of Texas Values, a nonprofit group dedicated to preserving and advancing a culture of family values in the state of Texas. Jonathan’s work on these issues spans two decades. Prior to leading Texas Values (2012), Jonathan headed the First Liberty Institute offices at the Texas Capitol in Austin where he served as Director of Legislative Affairs and Attorney for First Liberty Institute (2007-2012). He frequently presents research, analysis, and testimony before the Texas Legislature, State Board of Education, and other government entities on various issues affecting faith, family, and freedom. Jonathan believes in religious liberty, sanctity of human life, family values, and constitutional rights and has been involved in numerous court cases, including cases before the Texas Supreme Court and the United State Supreme Court. Jonathan is the leading voice in Texas on marriage between one man and one woman and he was instrumental in the passage of Texas laws to protect religious liberty (“Under God” in the Texas pledge, the “One State Under God” license plate, the “Merry Christmas law” and the “Pastor Protection Law), pro-life laws such as the “Choose Life” license plate, the Sonogram law, HB 2 and many others. Jonathan served as a lawyer for Gianna Jessen, a courageous woman who survived a late-term abortion attempt when she was in the womb, and is now a famous pro-life advocate. Jonathan was also part of the winning legal team that successfully defended the religious freedom and free speech rights of nonprofit pregnancy care centers for women in Austin. Since 2005, Jonathan has worked to protect marriage between one man and one woman and policies that support this principle, and he has helped defeat threatening legislation on these matters in every legislative session since 2007. In 2015, Jonathan was the leading statewide voice in Texas that helped defeat the dangerous LGBT Houston “bathroom” ordinance, that would have allowed men into women’s bathrooms and would have restricted the religious freedom on businesses and nonprofit organizations. Jonathan also helped lead the State Board Education victories to prevent censorship in the Science classroom and protect strong Social Studies & History teaching. Jonathan has been featured in local, national and international media such as Fox News, CNN, USA Radio, Austin-American Statesman, Dallas Morning News, and Houston Chronicle among many others and is a sought after speaker for important events. Mr. Saenz received his law degree from the University of Houston Law Center where he was the leader of the Pro-Life Cougars group that successfully defended its free speech rights in a landmark court case against the university. Jonathan received his undergraduate degree from the University of Texas at Austin, where he studied family policy issues. Jonathan is a 5th generation Texan with strong family ties to Central and South Texas. He and his family live in Buda and are members of Santa Cruz Catholic Church. David Walls is the Vice President of Texas Values, a nonprofit group dedicated to preserving and advancing faith, family, and freedom in the state of Texas. Prior to working for Texas Values, David was the Grassroots Coordinator for First Liberty Institute, a nonprofit legal group. David works to stand for religious liberty, the sanctity of human life, traditional family values, and constitutional rights. He oversees all program operations related to finance, operations, and marketing communication for Texas Values. David previously worked on the campaign of Texas State Senator Brian Birdwell and interned for the Family Research Council in Washington, D.C. Mr. Walls has received a MA in Political Science and Legislative Studies from the University of Texas at Dallas and was honored as an Archer Center Graduate Program in Public Policy Fellow. He has also received a MBA from the University of Texas in Arlington and received his undergraduate degree from Southern Methodist University. David is a native Texan who grew up in the Dallas area. He currently lives in Austin with his wife and three children, and is an active member of Grace Covenant Church. Nicole Hudgens is the Senior Policy Analyst for Texas Values, a nonprofit group dedicated to preserving and advancing faith, family, and freedom in the state of Texas. Nicole Hudgens joined the Texas Values team at the start of the 84th Texas Legislative Session. She has a passion to see the restoration of family values in her generation and the ones to come. Before joining the Texas Values team, Nicole worked for the Heritage Foundation, Family Research Council, and recently for Congressman John Fleming in Washington, D.C. In 2013 Nicole co-hosted a talk radio show covering conservative issues including the recent Texas pro-life omnibus bill and the importance of marriage and family in society. She graduated with a degree in Speech Communication at Louisiana State University, Shreveport in 2011 and is currently earning her master’s degree in Public Policy from Liberty University. James Wesolek is the Communications Associate for Texas Values, a nonprofit group dedicated to fighting for faith, family, and freedom in the state of Texas. Prior to coming to Texas Values, James had 8 years of experience in the DC area where he worked with Heritage Action for America and various other campaigns, consultants, non-profits, and Members of Congress. He specializes in grassroots accountability and strategy. James has a degree in History from George Mason University. He, and his wife escaped the swamp and moved to Texas in 2018. Joseph Walter is the Development Associate for Texas Values, a nonprofit group dedicated to fighting for faith, family, and freedom in the state of Texas. Prior to Texas Values, Joseph had 10 years of experience in various states, but primarily in Texas; where he worked with campaigns, organizations, and non-profits. Joseph has helped candidates and organizations stand for religious liberty, pro-life beliefs, traditional family values, and constitutional rights. Joseph has a degree in Political Science from Stephen F. Austin State University. He is originally from Nacogdoches where he grew up. He will be working on starting a Masters from Liberty University later this year. Nancy Carter is the Administrative Assistant for Texas Values, a nonprofit group dedicated to fighting for faith, family, and freedom in the state of Texas. She is a 5th generation Texan, with family ties dating back to the Republic of Texas. Prior to coming to Texas Values, Nancy had multiple jobs in a wide variety of industries; from Home Depot to NASA. Her most rewarding job was being a stay-at-home Mom and raising two kids. She has been married to her husband Preston for over 30 years, and has lived in many parts of the country. Nancy has a BS in Mathematics from the University of Texas at Austin.